Influenza of “FLU” as it popularly known is caused by a virus. Influenza is a highly contagious and acute respiratory illness. One of the unique and most remarkable features of influenza virus is its ability to change with time, which explains why influenza continues to be a major epidemic disease of humans. 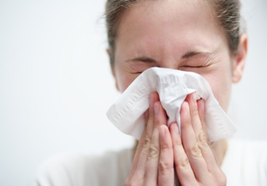 A sneeze transmits flu at 167 km/h covering a distance of 5 meters in 1/10th of second! Second, a single infected person can transmit virus rapidly to a large number of susceptible. During an ordinary epidemiological season, about 10% of the world’s population catch influenza i.e 500 million people. Influenza has the image of a benign disease and yet can have dramatic consequences on all high risk groups. Influenza is responsible for a major increase in morbidity and mortality during epidemic periods, especially among patients with pre-existent lung disease. 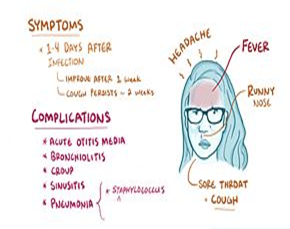 The complications develops about 4-14 days after a classic influenza illness from which the patients appears to be recovering. Viral infection has altered mucociliary activity and may have impaired pulmonary defense, thus facilitating the accumulation of bacteria. In children influenza is more frequent and present with higher fever than in adults and higher incidence of coryza, otitis media, drowsiness and delirium. Influenza infections have been shown to trigger attacks of asthma. Studies in children with asthma have shown that 38-49% wheezy episodes are associated with respiratory viruses. Patients suffering from asthma or chronic obstructive pulmonary disease (COPD) are considered at risk for complications of influenza. Influenza is a recognized cause of asthma complications and can trigger exacerbations of asthma among children and adults. Excess rates of hospitality and pulmonary complications have been documented for children with influenza who have severe asthma. How can you protect your child against Influenza? Influenza vaccine is strongly recommended for children and adults with asthma or other chronic lung disease. Vaccination protects from flu and its complications. It is the most effective mean to reduce the impact of influenza. Influenza vaccinations has been shown to reduce influenza infections related asthma exacerbation. Vaccinations should be given each year because the flu virus do change from year to year. This is why the flu vaccine is adapted annually to account for the emergence of new strains and give the best possible protection.